How frequently do you update your site? I blog regularly and since the site is built on a blog platform, fairly frequently. It also contains my Twitter feed, so you could say that my site is constantly being updated. Is your site designed for reader interaction? Definitely. Between email contact, my Twitter feed and the blog entries, I love hearing from and interacting with readers. Tell Me Again How This Isn't One Person Making A Decision For the Whole? Top 5 reads you’re looking forward to reading in 2010? From your blog, I've noticed you are a big fan of the arts. What draws you to the world of music and dance? How does this influence your writing (if it has any influence at all)? I've been both a reader/storyteller and a musician literally my entire life. I wouldn't begin to know how to exist without either. I've also dabbled in other arts, taking ballet as a child, being a competitive figure skater, and most recently, I've taken up photography to indulge my love of visual arts (I cannot draw to save my life- literally. I'm TERRIBLE.) I wish I could adequately describe the depth of emotion a beautiful piece of music or art or a dance performance can evoke in me. It's what I try to express within the written word and hopefully, if I've even come close, the reader will at least get a sense of the passion I have for the arts. It's so important, to me, to find the beauty in the world, especially as it grows increasingly dark around us. The arts are the purest expression of joy I can think of. Please share what your newest release, When the Stars Go Blue, is about. Basically, STARS is a modern retelling of the CARMEN story, first written as a short story by Prosper Mérimée, then adapted into the opera by George Bizet. (As well as a ballet, by Roland Petit.) The basic story is of the Gypsy, Carmen, who woos an inexperienced soldier, Don José, who basically renounces everything for her, then murders her when she rejects him for the bullfighter Escamillo. My version is a bit looser interpretation- my "Carmen" is Soledad Reyes, a driven dancer with dreams of becoming a professional, "Don José" is Jonathan Randall, an equally driven music prodigy who falls for Soledad, but whose has some longstanding personal demons to deal with, and finally, my "Escamillo" is Taz, a Spanish soccer player who's brash, cocky, and completely charming. My story plays out against the backdrop of competitive drum and bugle corps, of which Jonathan is a longtime member. He recruits Soledad to join the corps, because they're going to be performing Carmen and they need a dancer to portray the role of the gypsy-- Jonathan also has ulterior motives, because he's harbored a longtime crush on Soledad. The dual pull of the role of a lifetime, plus unrequited desire proves to be too tempting for Soledad to pass up, so she joins the corps and becomes involved with Jonathan. Of course, that's when Taz shows up, providing a distraction and making Soledad question everything she thinks she knows. And in an eerie echo of the story they perform every night, tragedy strikes. I have the hardest time describing my own work. Those who have read it use the words "lush" and "lyrical" and I have to say, I find that both humbling and incredibly flattering, since those are two things I really strive for in my writing. I want the reader to feel as completely immersed in the world I'm creating as I was when I was writing it. The writing life is not one that's easy, but it's easily the most gratifying thing I've ever done. And it's really the perfect profession for me because it allows me to incorporate every passion and interest I have. It's sort of like acting, in that I get to be those people for as long as I'm writing the story. Writing is completely yours in a way that very few other professions can be. I was fortunate to receive an ARC of When the Stars Go Blue and everyone is in for such a treat! The writing is lush and sublime ;) The romance is absolutely enthralling and the love triangle is actually realistic (i.e. there is no obvious choice of who Carmen should choose until the very end). As for the ending, possibly one of the most dramatic (in a good way) and tense endings I've read in a long time. Ms. Ferrer does indeed completely immerse you in the world of her characters, you care deeply for them and get a good idea of the environment they are living in. Utterly fabulous! 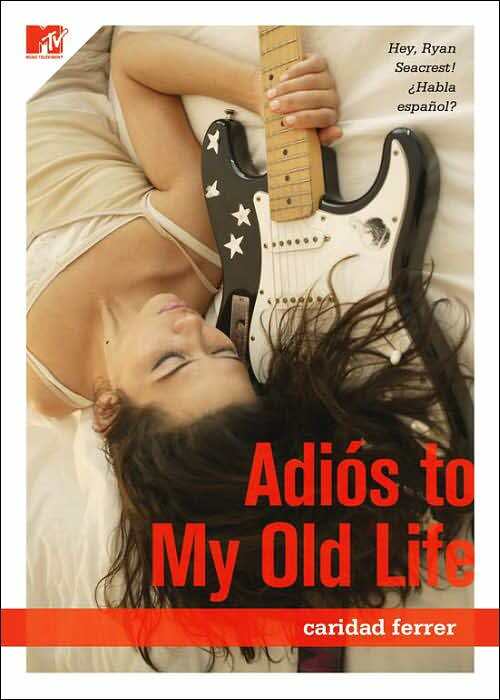 I adored Adios to My Old Life and It's Not About the Accent was a very interesting read. I highly highly recommend all of Ms. Ferrer's books. Fabulous interview! Barb is a rock star - and Stars is going to go platinum, I'm certain of it. I love the cover of When the Stars go Blue. And the story sounds great. Looking forward to reading it. I love meeting new authors through the blogging world...and you pose such great questions that allow me to actually come to know the author beyond the traditional questions, thank you!